In this chapter we shall construct the metric spaces M κ n , which play a central role in later chapters, serving as standard models to which one can profitably compare more general geodesic spaces. One way to describe M κ n is as the complete, simply connected, Riemannian n-manifold of constant sectional curvature κ ∈ ℝ. 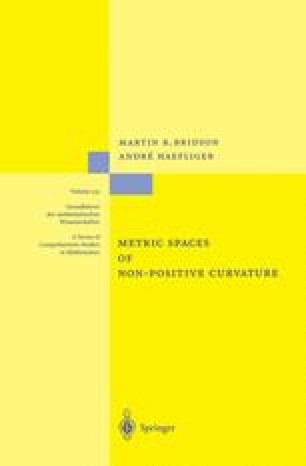 However, in keeping with the spirit of this book, we shall first define and study the M κ n purely as metric spaces (cf. [Iv92]), and defer consideration of their Riemannian structure until Chapter 6.